WestJet on November 24, 2017 introduced WestJet Link, a new regional air service operating under a capacity purchase agreement (CPA) with Pacific Coastal Airlines. Using Pacific Coastal Airlines’ aircraft painted in WestJet colors, WestJet Link will connect the communities of Lethbridge, Lloydminster, Medicine Hat, Cranbrook and Prince George to WestJet’s rapidly expanding network hub at the Calgary International Airport (YYC). These new routes will add to WestJet’s existing leadership position in Calgary, offering more flights and seats to more destinations than any other airline. * Book by December 4, 2017 (11:59 p.m. MT) for travel between March 7 & June 27, 2018. For Medicine Hat travel from May 31 – June 27, 2018. Blackout dates apply. Visit westjet.com/flight-schedules-new for more information. * Book by November 24, 2017 (11:59 p.m. MT) for travel between March 7 & June 27, 2018. For Medicine Hat travel from May 31 – June 27, 2018. Blackout dates apply. Visit westjet.com/flight-schedules-new for more information. 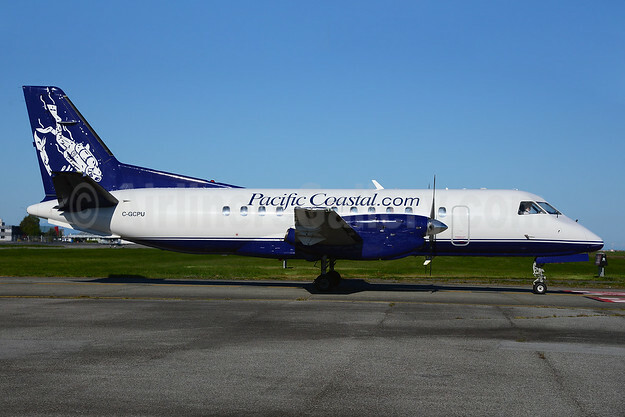 Top Copyright Photo: Pacific Coastal SAAB 340 aircraft will now adopt the WestJet livery. Pacific Coastal Airlines (Pacific Coastal.com) SAAB 340A C-GCPU (msn 140) (diver) YVR (Ton Jochems). Image: 912125. This entry was posted in Pacific Coastal Airlines, WestJet, WestJet Link and tagged C-GCPU, msn 140, Pacific Coastal Airlines (Pacific Coastal.com), SAAB 340A, WestJet, WestJet Link, YVR on November 24, 2017 by Bruce Drum. One of New Zealand’s most established airlines has announced that it has purchased Kiwi Regional Airlines’ SAAB 340A (ZK-KRA) aircraft (below) and will absorb the aircraft and offer employment to the majority of Kiwi Regional Airlines full time staff and absorb them into its operations from the start of August 2016. Air Chathams has been in existence for over 30 years, and runs a 5-aircraft operation with scheduled services between the Chathams Islands and Auckland, Wellington and Christchurch as well as a regular scheduled service between Whakatane and Auckland. It has previously announced it would fill the gap left by Air New Zealand’s withdrawal of services between Whanganui and Auckland, starting on August 1, 2016. It had planned to use an 18-seat Metroliner, but will now use Kiwi Regional’s 34-seat SAAB 340A on this route. Kiwi Regional Airlines will continue to run its scheduled services until July 30, 2016, and will then run the Whanganui to Auckland service for Air Chathams using Kiwi Regional’s Air Operating Certificate until Air Chathams can move the aircraft onto its own AOC. Kiwi Regional Airlines passengers booked on flights after midday on July 30 will receive full refunds, or be offered alternative travel on flights before that date. All of Kiwi Regional Airlines’ charters flights with school groups in August and September will still operate. Kiwi Regional commenced operations in New Zealand on October 27, 2015. This entry was posted in Kiwi Regional Airlines and tagged Kiwi Regional Airlines, SAAB 340A, ZK-KRA on June 19, 2016 by Bruce Drum. Leon Air (Leon Airlines) (Burgos) is a new airline in Spain. The carrier is commencing 33-seat SAAB 340A operations on April 27 linking Burgos with Barcelona. 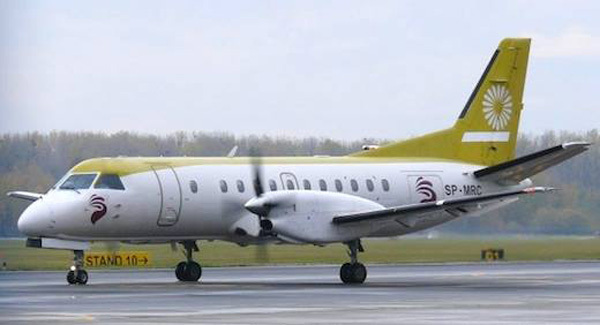 SkyTaxi of Poland is operating its SAAB 340A SP-MRC (msn 143) on the routes above and was previously operated for Good Fly. All images by Leon Air. This entry was posted in Leon Air and tagged 143, Barcelona, Burgos, Leon Air, Leon Airlines, SAAB, SAAB 340A, SP-MRC on April 26, 2015 by Bruce Drum. Republic Airways Holdings (Indianapolis) is an airline holding company that owns Chautauqua Airlines, Republic Airlines (2nd) and Shuttle America. The group is consolidating operations in order to reduce costs. CEO Bryan Bedford issued a short statement to the employees of the group concerning the closure of Chautauqua Airlines before the end of the year. The group intends to consolidate the Chautuaqua Embraer ERJ operations into the Shuttle America operating certificate. Chautauqua will be shut down. 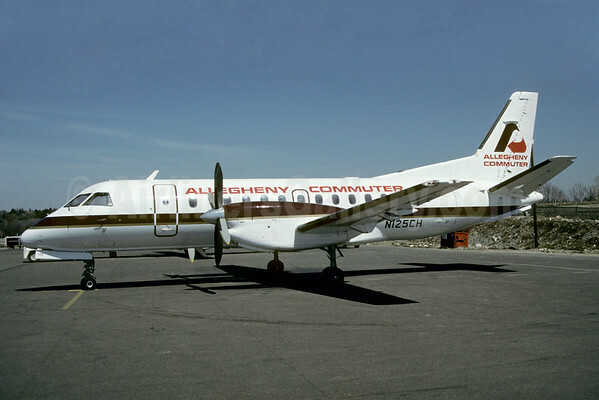 Chautauqua Airlines was established on May 3, 1973, in Jamestown, Chautauqua County, New York State and began operations on August 1, 1974 using two 15-passenger Beech 99 aircraft. It was one of earliest Allegheny Commuter carriers. It became an USAir Express (later US Airways Express) carrier in 1979. Besides the Allegheny/USAir/US Airways lineage, Chautauqua has operated under the America West Express, American Connection, Continental Express, Frontier Airlines (2nd), Midwest Connect, Trans World Express and United Express brands. Copyright Photo: Jay Selman/AirlinersGallery.com. SAAB 340A N125CH (msn 125) displays 1976 Allegheny Commuter livery. This entry was posted in Chautauqua Airlines, Republic Airways Holdings, Shuttle America and tagged 125, 340, 340A, Allegheny Commuter, Chautauqua Airlines, N125CH, Republic Airways Holdings, SAAB, SAAB 340A, SF340A, Shuttle America on July 27, 2014 by Bruce Drum. Caribair (Dominican Republic) SAAB 340A HI-866 (msn 138) CUN (Rurik Enriquez), originally uploaded by Airliners Gallery. Caribair (Dominican Republic) (Santo Domingo) had four aircraft seized by the Plus International Bank of Florida in August. Copyright Photo: Rurik Enriquez. SAAB 340A HI-866 (msn 138) makes a visit to Cancun. This entry was posted in Caribair (Dominican Republic) and tagged 138, 340A, Cancun, Caribair (Dominican Republic), CUN, HI-866, Rurik Enriquez, SAAB, SAAB 340, SAAB 340A on September 14, 2010 by Bruce Drum. Robin Hood Aviation SAAB 340A OE-GOD (msn 153) ZRH (Rolf Wallner) (filed for bankruptcy), originally uploaded by Airliners Gallery. Robin Hood Aviation (Graz) today (March 15) filed for bankruptcy protection and vowed to reorganize and continue operations. Copyright Photo: Rolf Wallner. SAAB 340A OE-GOD (msn 153) is pictured on final approach at Zurich. This entry was posted in Uncategorized and tagged 153, 340A, OE-GOD, Robin Hood Aviation, Rolf Wallner, SAAB 340, SAAB 340A, ZRH, Zurich on March 15, 2010 by Bruce Drum.